The hotel is located in the centre of Fátima, a 5-minute walk from Fátima Sanctuary. The bus station is about 1 km away and the train station is about 20 km away. The beach in Nazaré is about an hour's drive away. Portela Airport is about 125 km away and Francisco Sá Carneiro Airport is 208 km away. This family-friendly hotel offers air-conditioned guest rooms and a quaint church on-site. A varied menu of international and regional dishes is served in the restaurant. Guests can enjoy a relaxing stroll through the landscaped garden. 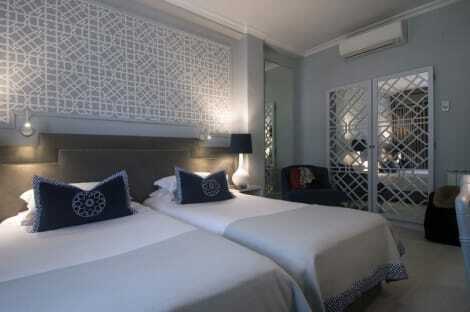 Fully renovated in 2009, there are a total of 122 rooms and suites available. Guests are welcomed in the lobby with 24-hour reception. Further facilities include lift access to the upper floors, a TV lounge, conference facilities, wireless Internet access and a car park. All rooms are en suite with a shower, bath and hairdryer. Further in-room amenities include a double bed, direct dial telephone, satellite/cable TV, air conditioning and central heating. Stop by the hotel's restaurant for lunch or dinner. Dining is also available at the coffee shop/café, and room service (during limited hours) is provided. Mingle with other guests at the complimentary reception, held daily. Quench your thirst with your favorite drink at the bar/lounge. Buffet breakfasts are available daily from 8 AM to 10 AM for a fee. A stay at Hotel Coracao De Fatima places you in the heart of Fatima, within a 10-minute walk of Sanctuary of Our Lady of Fatima and Fatima Basilica. This hotel is 0.5 mi (0.9 km) from Museu de Cera and 0.6 mi (0.9 km) from Church of the Most Holy Trinity.